The concept of the exhibition was to expose the ubiquitous white intteriors and familiar bland fixtures of contemporary architecture by playing with issues of scale. Working with Garamond Premier Pro for my book on Persian ceramics, I have been impressed by the range of sizes and weights the typeface includes. There are regular, medium, semibold, and bold weights for each of the sizes. In addition, the display size offers an extra-light weight in both regular and italic. UPDATE: Since writing the above in 2008 I have used Garamond Premier Pro in my books 1616: The World in Motion and River of Ink: Literature, History, Art, as well as in books designed for others, such as Bali: Art, Ritual, Performance by Natasha Reichle. Different fonts are provided for four type sizes: caption, regular, subhead, and display. The caption fonts, for example, have large x-heights and heavier strokes in order to hold up at small sizes. The display fonts have elegantly modest x-heights and light stroke weights suitable for presentation at large sizes. The header for the image above is the medium display weight (to balance some of the dark fonts,including the caption fonts, which would not ordinarily be used at this large a size. The fonts also include a full range of diacritics and foreign-language characters. Garamond Premier Pro was designed by Robert Slimbach on the model of the roman types of Claude Garamond and the italic types of Robert Granjon; it represent a reworking and expansion of the earlier Garamond Pro. It is available in OpenType from Adobe. I sought to maintain the fidelity of the metal type as revealed in the specimen material—rather than taking a more subjective approach, such as attempting to reproduce artifacts of letterpress printing, or at the other extreme, modernizing form through heavy-handed stylization or drastic structural modification. I feel that by overtly imitating the appearance of an outdated technology, a digital type can appear antique, or even quaint, while excessive stylization can diminish the organic properties inherent in a hand-cut type. With Garamond Premier, I followed the details of line and form displayed in the original metal type as much as possible in order to reveal the ideal that I felt Garamond and Granjon were trying to achieve in their work. By preserving subtleties of shape, a level of fidelity is maintained that would normally be clouded by the noise-generating effects of letterpress printing on handmade papers. Throughout the design process, I repeatedly returned to the original proofs to ensure I was preserving details I felt were essential to the design. At the same time, I often felt it necessary to carefully adjust shapes and parameters in order to harmonize the varied work of these two individual designers within this single type family. I received this catalogue of an exhibition at the Correr Museum in Venice from the amazing Scott Newstok of Rhodes College in Memphis, who always seems to be a step ahead of me on whatever I’m working on. The exhibition, curated by Cristina Dondi, runs through April 30. The catalogue features a striking design by the Sebastiano Girardi Studio. It includes well-thought-out graphics and artwork on mostly black backgrounds, printed on Fedrigoni Sumbol Tatami White paper. I like the design, though it was impossible to tell from the cover and title page (above) whether the title was “Printing Revolution” or “Printing Evolution.” The design cleverly implies both and gives them seemingly equal weight. That’s great, but a potential problem for librarians, booksellers, and book shoppers. I am learning that the Blend If function is one of the most powerful in Photoshop. This video from Phlearn is a good overview of the function. “clarity” slider. While the various sharpening modes make universal pixel tone adjustments based on differences with their neighbors (sometimes creating the white halos of oversharpening), clarity focuses more on midtones while adjusting for large tonal areas (as I understand). Click through to Flickr and expand for a larger view. This mosaic is one of four on the upper level of the basilica of San Marco (behind the loggia where the horses reside) flanking the main door to the plaza. From left to right facing the basilica, they depict the Deposition (entombment), the Harrowing, the Resurrection, and the Ascension of Christ. The harrowing of Hell, also called the Descent into Limbo and the Anastasis, among other variants, took place between the crucifixion and the resurrection. Then Christ is said to have descended into the realm of the dead to reclaim the righteous and carry them to heaven. By the early seventeenth century the original mosaics from the thirteenth century had badly deteriorated—the only remaining original mosaic is the one above the left portal, depicting the arrival of St. Mark’s body—and replacements were commissioned and executed in 1617-1618. The mosaic work was done by Luigi Gaetano based on cartoons by Maffeo Verona. The mosaics are made up of tesserae—small pieces of colored glass, stone,and enamel set in plaster. Location of the Harrowing of Hell mosaic on the Basilica San Marco facade. The palazzo was built from 1555–58 from a design by the humanist Daniele Barbaro, a patron of Palladio, who certainly inspired and might have participated in it. The lower two rows of windows look out from the ground floor. The piano nobile above features a stonework balcony in front of a large central window with a pediment cap (a Renaissance innovation). At top is a low attic signaled by small square windows. The interior was once richly decorated and adorned with large paintings by Veronese and others, and the rear of the building opened onto a large garden. Little remains of this former grandeur. Just downstream from the Ponte Vecchio, the Ponte Santa Trinita, the world’s oldest elliptic arch bridge, was constructed from 1567 to 1569 by Bartolomeo Ammannati. The bridge was destroyed during WWII but reconstructed mainly from original materials raised from the Arno. The cupola of the Redentore is visible beyond San Giorgio Maggiore. The modest-looking piers in the foreground are used by the Marco Polo Boat Club. The Punta della Dogana at the meeting of the Grand and Giudecca Canals. The Punta della Dogana is the pointy tip of the Dorsaduro where the Grand and Giudecca Canals meet. It is named for the dogana (Dogana di Mare), or customs house that operated here at least from the fourteenth century until well into the twentieth. The present dogana was constructed in 1682, not long after the neighboring Santa Maria della Salute (Saint Mary of Health), which was built in thanks for the passing of the plague in 1630. Most visitors today, coming from the Santa Lucia train station, or the Piazzale Roma parking area, or the Marco Polo airport, enter the city from the rear. Until the mid-nineteenth century, when the first rail connection was built across the lagoon, the face of the city was on the opposite side, at San Marco. This was signaled to approaching vessels by the columns of San Marco and San Teodoro (more about them later). The Dogana lay directly across the Grand Canal, and as Venice was an empire built on trade it must have been a lively place indeed. The stretch of Venice’s Grand Canal between the Rialto Bridge and the Bacino includes some of the city’s finest buildings. Owners of these buildings invested great effort and funds into creating impressive facades facing the Canal. The five buildings shown here — with the dome of the church of Santa Maria de la Salute and a tiny slice of the former Abbazia di San Gregorio in the background — are, left to right, Palazzo Genovese, Palazo Benzon, Palazzo Salviati, Palazzo Barbaro, and Palazzo Dario. Upon entry into the great city of Venice, every camera-toting visitor is required to sign a document committing them to taking a photo of the Bridge of Sigh (Ponte dei Sospiri). This is my entry from our latest visit. In the period before European settlement, Cape Cod was covered largely by pine-oak forests, interspersed with smaller areas of hickory, beech, red maple, and birch. In the 18th and 19th centuries, much of Cape Cod consisted of open heathlands and grasslands created and maintained primarily by the agricultural practices of early settlers that included cutting, grazing, and burning. The cessation of these activities by the mid-1800s allowed trees to re-invade the landscape and forests now occupy the largest land-surface area and biovolume of any vegetation community. Currently, the sole remnant of beech forest is this preserve at the northern end of the cape. The forest is in a low-lying area that was not worth logging. The trees, which don’t seem to mind wet feet, surround ponds covered with lilies and lined with reeds and other marsh vegetation. Wildlife is abundant and melodious birdsong fills the air. There are bicycle and hiking trails that lead all the way to the dunes (about three miles). In past, the Provincetown Fire Department set up lights to illuminate the ponds for winter skaters, but I don’t know if this tradition continues. 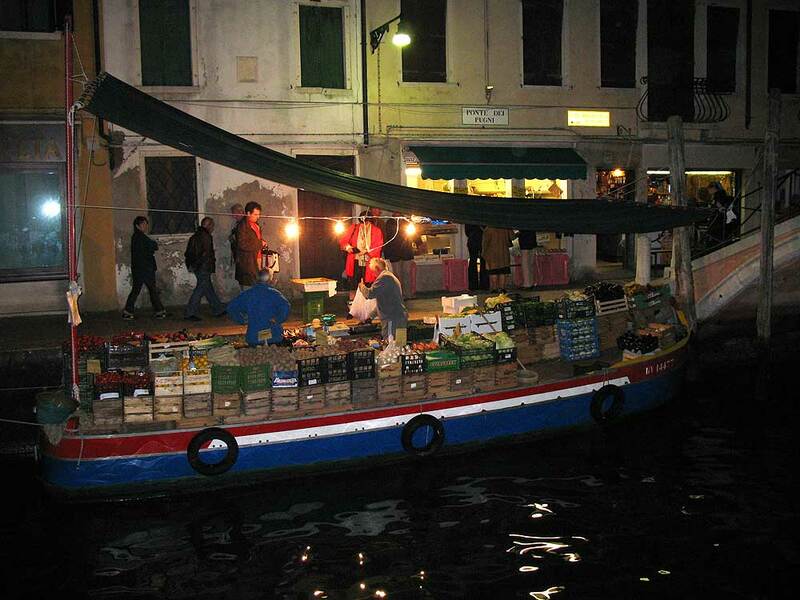 So convenient to pop down to the canal and pick up a few fresh fruits and vegetables. The nearby bridge is called the Ponte dei Pugni (Bridge of Fists) because until the early eighteenth century the rival Castelloni and Nicolotti clans would meet in the middle of the bridge for fisticuffs. The losers would be tossed over the side of the bridge into the canal. The bridge spans the Rio di S. Barnaba in the sestiero of Dorsoduro. The Church of San Barnaba, which gives the canal its name, appeared in the movie Indiana Jones and the Last Crusade, where its Paladian facade was supposed to be that of a library where Jones’s father disappeared. The church was rebuilt several times. The present version, from the mid to late eighteenth century, is by Lorenzo Boschetti. Its campanile, however, is one of the oldest in Venice, probably dating from the twelfth century. Nice to see the great María Félix as a Google Doodle today (April 8, her 103rd birthday). 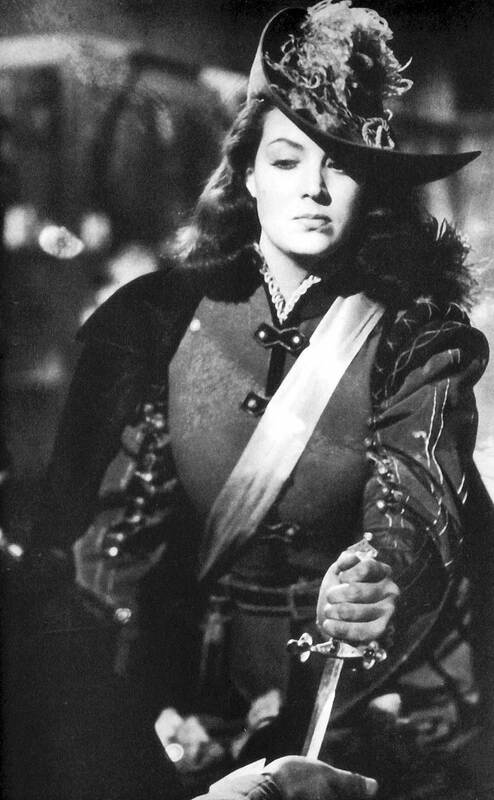 Here she is as Catalina de Erauso in The Lieutenant Nun (from my book 1616: The World in Motion). In this cunning disguise nobody was able to identify her as a woman. East bank of the Grand Canal, looking south from the Rialto Bridge. The two buildings to the right of the yellow facade are the Ca’ Corner Loredan and the Ca’ Farsetti, both built in the the early 13th century (and later modified). 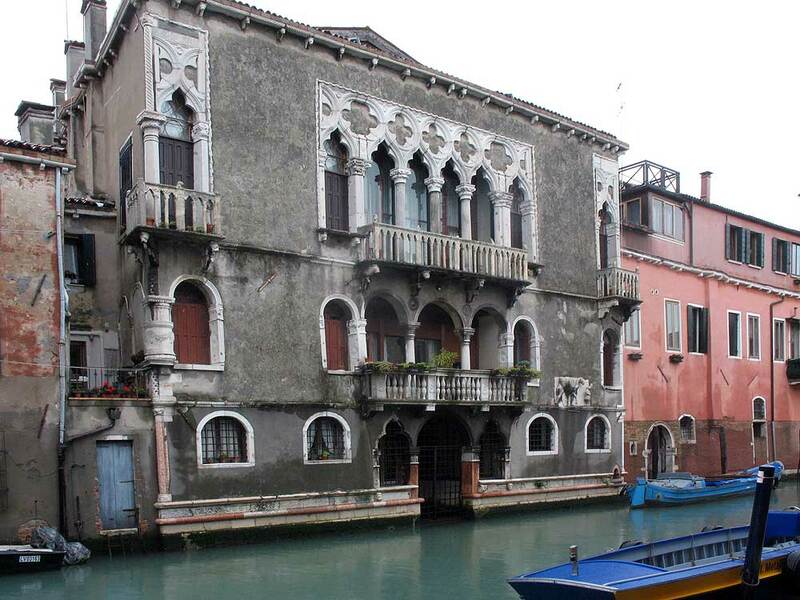 These are the earliest major surviving palazzi facing the Grand Canal. I have been researching the interesting history of Venice and the Veneto, and will be posting a few entries, mainly incorporating photos I’ve taken during visits there. (This one was taken 30 Oct. 2010.) The second building to the right of the yellow facade is the Ca’ Farsetti, a palazzo of historic importance. Before 1200 the focus of life for most Venetians was the open campo outside each island compound’s church. However, as the city filled up, becoming one rather than many, the divisions between those compounds were blurred. The great open space of the Piazza San Marco became the city’s campo—a place for the citizens of a unified state to gather. 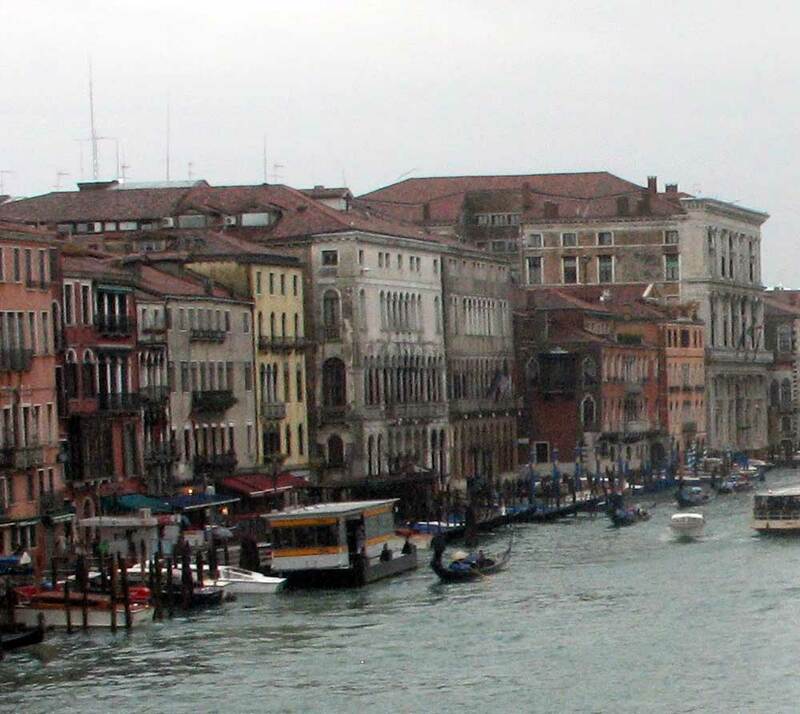 In the same way, the Grand Canal became its central boulevard, filled with traffic of all kinds. Where the palaces of rich Venetians had previously faced their local campi, they now turned toward the Grand Canal. The wealthiest Venetians jostled for position along the waterway, each attempting to outdo the other in grandeur. The oldest surviving such palazzo is the Ca’ Farsetti, built by Ranieri Dandolo, the son of Doge Enrico Dandolo. This impressive Gothic structure near the Rialto Bridge is today used as Venice’s city hall…. Unlike family palaces in other Italian cities, the Venetian structures remained unfortified—a feature that speaks volumes about the lack of factionalism and lawlessness in the Republic of Venice. 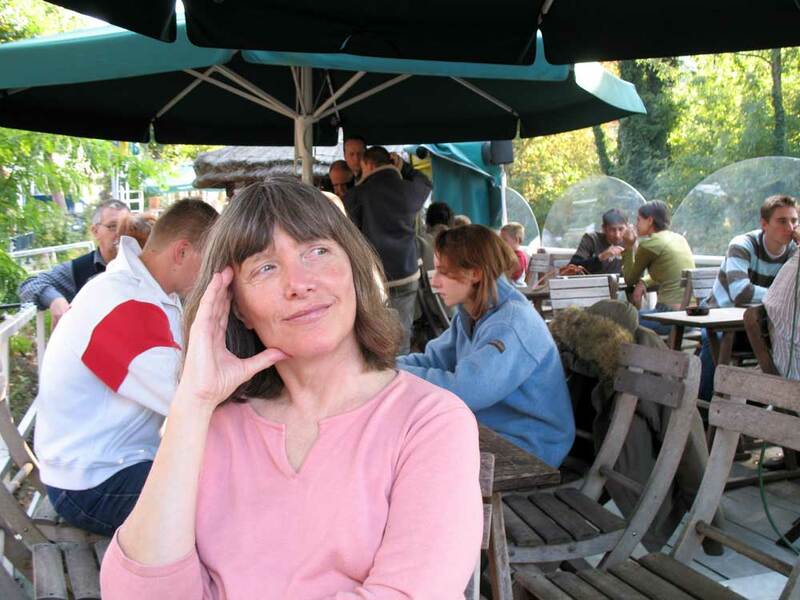 Carol in Ghent, showing catchlights (see below for detail). This photo was taken on a boat bar in the university district, where animation was provided not only by catchlights but also by Duvels. I don’t do much portrait photography. Most of my people shots are casual and unposed. The majority are of family, and it seems we are often wearing sunglasses. But if you want to photograph faces the best way, catchlight is an important element to be aware of. A catchlight is a highlight caused by reflected light on the surface of the eye (as opposed to red eye, which is light reflected from the retina). Eyes without catchlights can look flat and dull, while catchlights add sparks that can seem to animate faces. They come in all sizes and shapes, and it’s possible to have more than one. Studio photographers often use light reflectors to make sure they get catchlights in their portraits. If they get more than one they are likely to edit one out in post processing. Traditionally, the best positions were thought to be ten or eleven and one or two o’clock. Some photographers will even add these highlights in post if they failed to capture them in making the photo. In outdoor settings the best way to get catchlights is to focus on a subject who is in the shade facing toward the sun. (Some photographers carry pocket reflectors, which they usually position below the subject’s chin—these would be most useful in posed situations, and I’ve never tried them.) If the subject is looking at you as you take the photo, try to have the sun at your back. Just be aware that you might end up with your own reflection in the subject’s eyes. 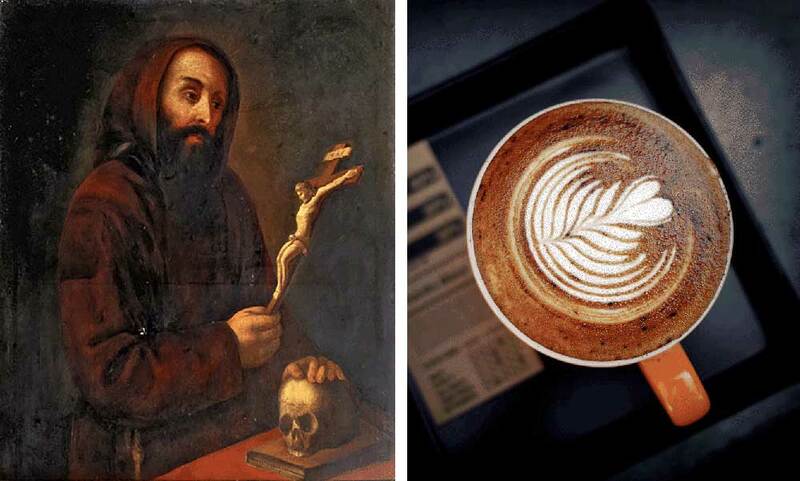 The drink takes its name from the color of the monks’ robes. The original image has a strong green cast. You’re looking at the world through rose-colored glasses. Or maybe they’re some other color. Whatever the color, it’s casting its hue over your entire image. Here I will tell you a quick, nifty trick for getting rid of it. Take the photo above, taken with a film camera in ancient times in Mixco, Guatemala. 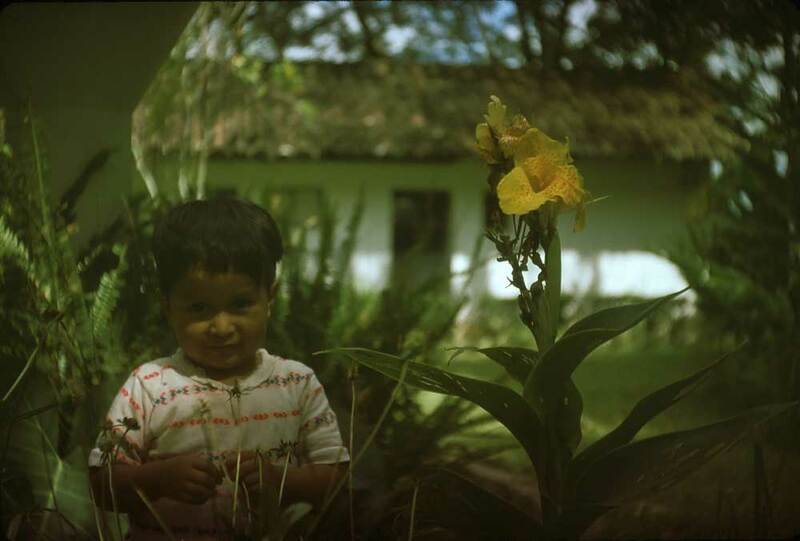 The little boy is Felipe, the gardener’s son, and behind him is the duplex casita that we shared with his family. As you can see, the photo has a strong green cast. 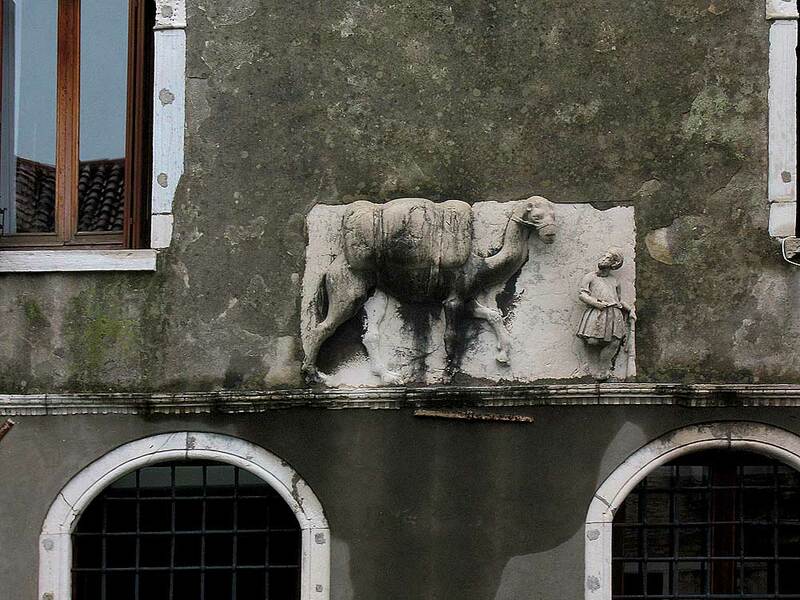 Camel plaque, Palazzo Mastelli, Venice. In the Canareggio sestiere of Venice, between the Jewish Ghetto and the Madonna dell’ Orto church, on the Calle dei Mori (the Street of the Moors), resides the Palazzo Mastelli. It is an venerable edifice, marked with a plaque depicting a camel laden with burdens. (Consequently, the palazzo is familiarly known as the House of the Camel.) The camel is an enduring symbol of the position of Venice as an entrepôt for trade between East and West. The original meaning of the camel plaque seems to have been lost to legend, most of it xenophobic. According to legend, three brothers came to Venice from “Morea” (the Peloponnesian peninsula of Greece) in 1112. Or maybe, according to other accounts, they were from the Levant. Maybe they were Arabs. In any case, their names are always given as Rioba, Sandi, and Afani, and they were traders, wicked men who, one story has it, sought to sell cheap fabric to a Venetian lady at an exorbitant price. But the victim of the scam cursed the money, and the three men were turned into turbaned stone statues that stand near the palace in the Campo dei Mori. Another variant of the story says that the unscrupulous merchant used his favorite phrase while peddling his cloth, “May my hand turn to stone if what I am saying is not true.” Unfortunately for him, his intended victim was an avatar of St. Mary Magdalene (or maybe she simply answered the woman’s prayer) and once again the brothers end up as stone figures. 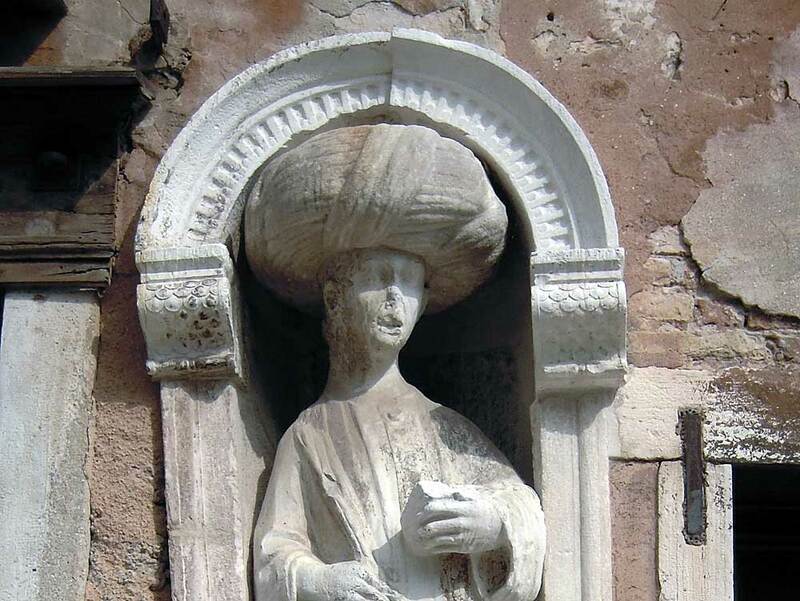 Turbaned figure in exterior wall niche,Campo dei Mori, Venice. On one of the statues, known as “Sior Rioba,” satirical poems and protests politicians and other powerful people were traditionally hung. In the nineteenth century Sior Rioba lost his nose, and in 2010 his head, although it was later found in the Calle della Racchetta and restored. 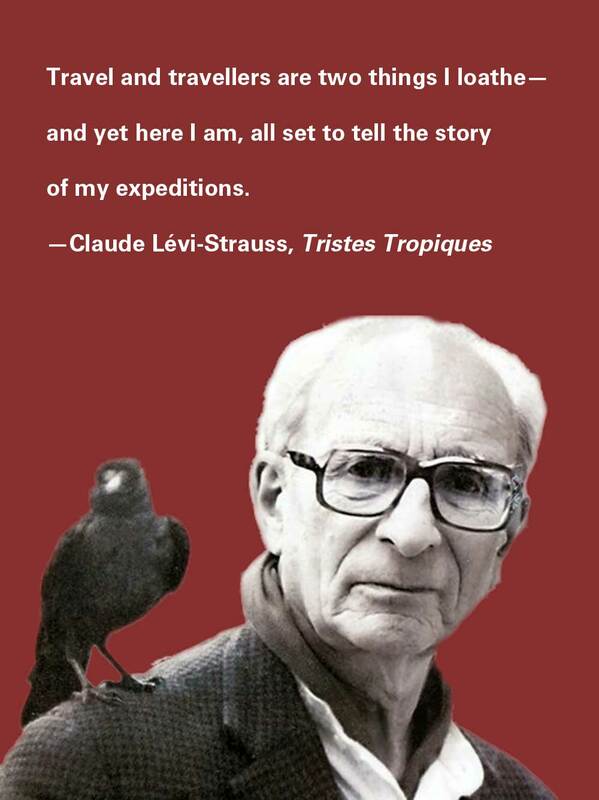 Legends endure, and Venetians and travel guides have enjoyed relating the story for centuries. (One version appears in Giuseppe Tassini’s Curiosità Veneziane, 1872.) But the bases of the statues are in fact parts from a Roman altar, and the statues were not constructed as a group but are a composite from various sources, put together in the fourteenth century. The Palazzo Mastelli is a similar mélange, combining thirteenth-century Byzantine fragments with sixteenth-century construction, Roman fragments set in a column, and all of that topped with a Gothic balcony. All quite Venetian and, if you ask me, charming. Palazzo Mastelli, the Fondamenta Madonna dell’Orto facade. Today is Friday, April 19, 2019 5:03 am (U.S. central time).